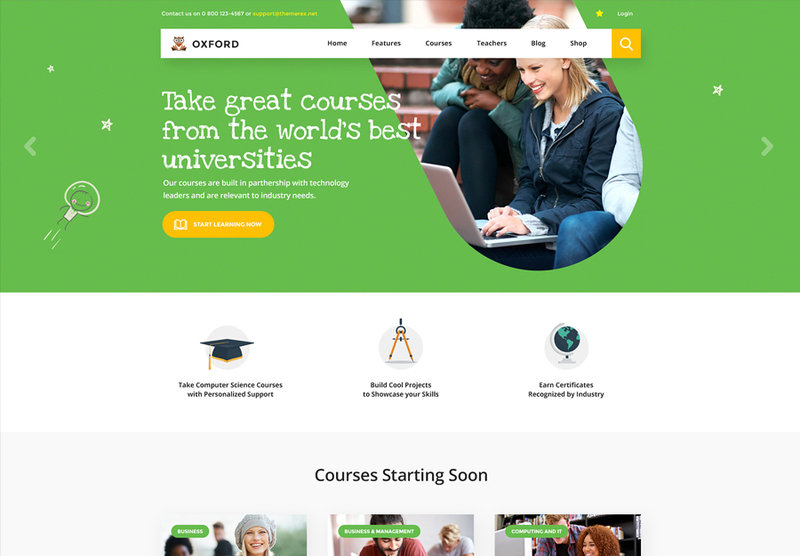 If you are looking for the right education WordPress theme for a university, college, online courses, or any other kind of education-related websites, then the following showcase is exactly what you need for a quick start of your web project. It’s trendy to be smart and well-educated. Billions of dollars are invested in educational projects. Most youngsters and their parents start looking for the best educational establishments online. 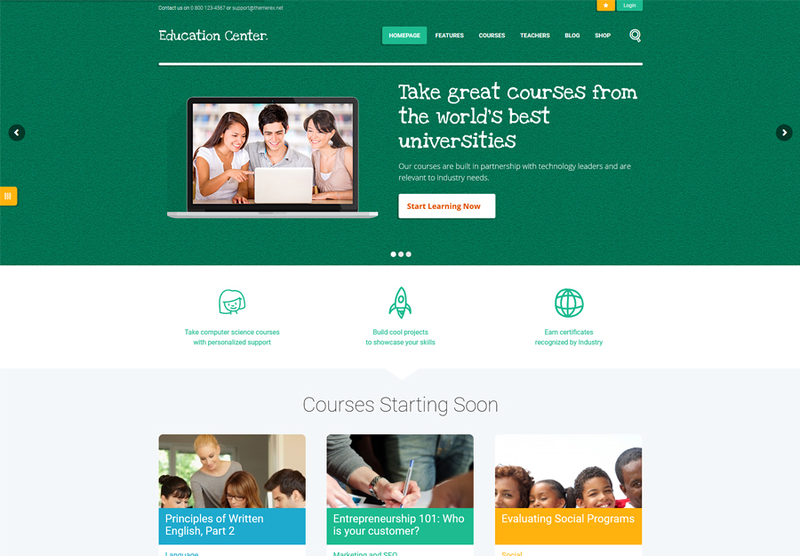 Gone are those days when educational sites looked dull and boring. The competition is getting fierce. The number of colleges grows, so students have a wide choice of learning opportunities. In order to engage more people and motivate them to come to you, you need to impress them once they land on your web page. Some may argue but the online presentation of your educational center may play one of the major roles when students look for a college or university. 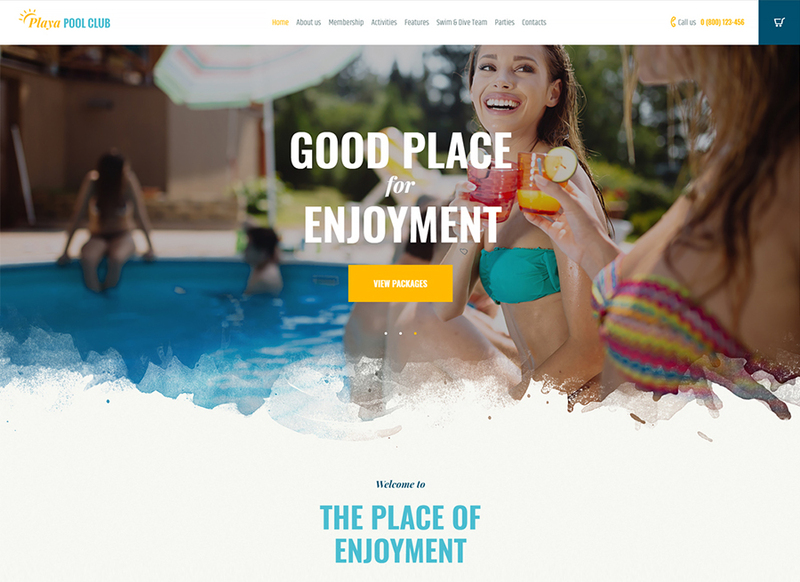 So, in order to help you win the hearts of future applicants, we offer you to take a look at the following showcase of WordPress themes. They are fully editable, well-coded, rather flexible and dynamic. Check out their specifications and watch live demos. Update your website with the most impressive design ever crafted. A clean and fresh layout of this WordPress theme is created to match a range of educational projects, both online and offline. A fully responsive and Retina-ready layout of this theme ensures that all pieces of your site’s data will look clean and sharp on all devices. The theme is made to be highly flexible and dynamic. It is ready to be adjusted for college, university or academy, informal learning, and institute websites. 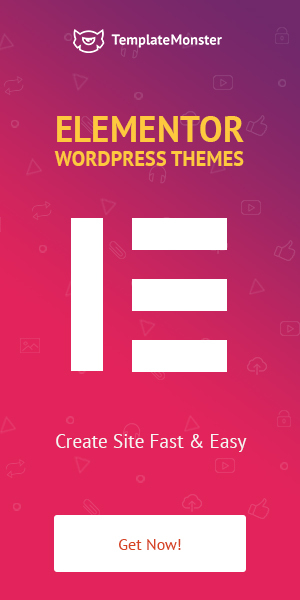 The theme is made to be fully compatible with such popular WordPress plugins as WPBakery (aka Visual Composer), LearnDash, Events Calendar, bbPress / BuddyPress, Woocommerce, and Revolution Slider. There are a number of education-related features like course builder, advanced quizzes, dynamic forums, lesson timing and schedules, and more. 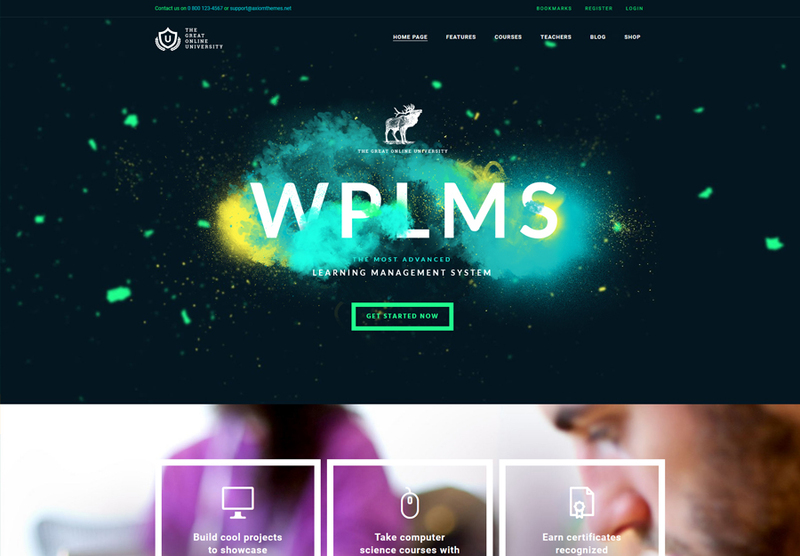 The modern and functional layout of this WordPress theme can be the ideal option for building functional and powerful online projects representing your educational website. The theme will work well as the foundation of college and university sites. It features 4 stunning ready-to-go homepage layouts. The download package includes all essential features to make your educational site functional and useful. For example, it features two types of courses – Theme courses & Learndash lms. Teachers profiles, testimonials, services & pricing are also available in the theme’s pack. 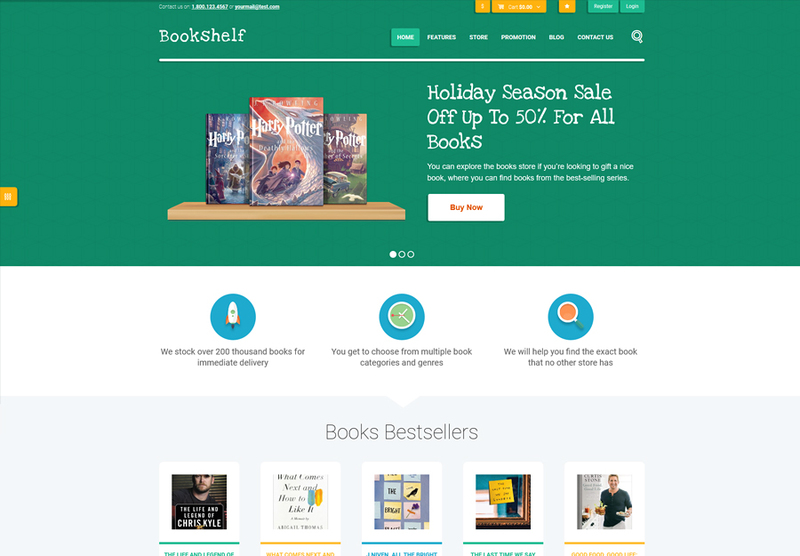 BookShelf is a modern and powerful WordPress theme that can become a splendid solution for a modern media library, literature blog, video games, and online courses sites. You can use this theme to build a fully-featured eCommerce project. WooCommerce media and book store are included for this purpose. Additionally, the theme contains events management and events calendar features. You can add a sense of interactivity to your site by means of a pack of custom hover effects. The theme features user-friendly admin interface that lets you create and manage classes the way you need. The theme is made to be fully compatible with WPBakery, WPML, and other widely-used WordPress plugins. 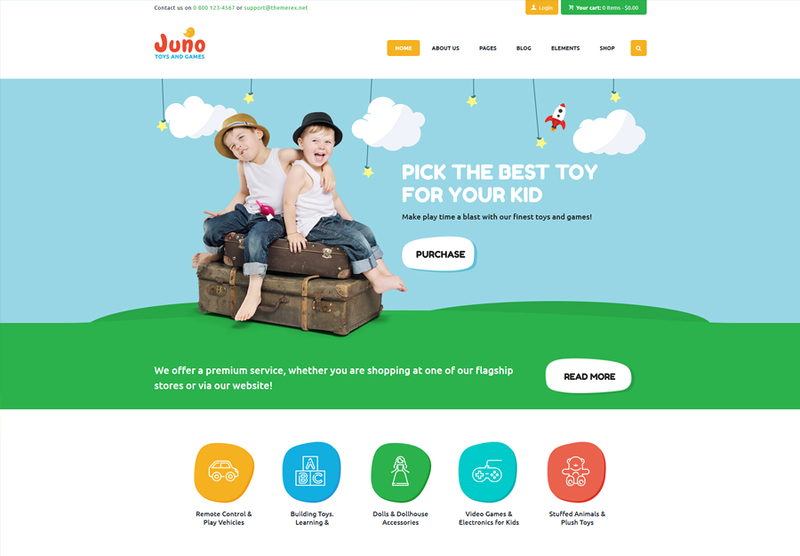 Juno is an attractive and engaging WordPress theme that perfectly suits for the development of kids toys and video games online stores. It runs on WordPress 5.0. The theme is Gutenberg compatible and contains GDPR Framework WP Plugin under the hood. You can use it for the launch of a blog, news portal or fully-featured web store. The latter is achieved due to the WooCommerce store integration. 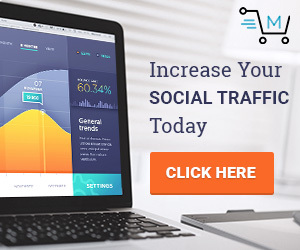 Your visitors will be able to spread the word about their preferred pieces of content thanks to the integration of a series of social sharing options into this theme. A bunch of ready-to-go pages lets you focus on the development of custom pieces of data for your site rather than building layouts and pages from scratch. Juno is a 100% responsive WordPress theme that’s made to be compatible with plugins like Essential Grid, Swiper Slider, Revolution Slider, and WPML. 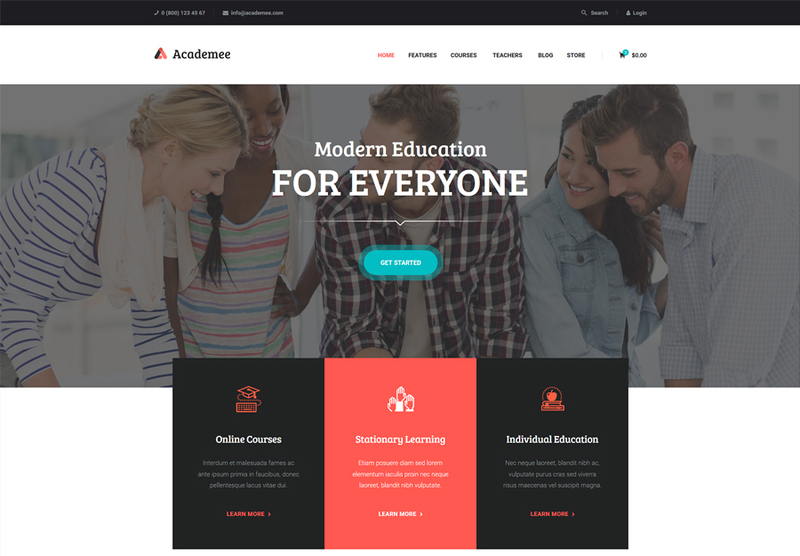 Academee is a trendy and stylish WordPress theme featuring a clean and usable design. The theme is the perfect choice for the launch of such educational establishment websites as colleges and schools, as well as training and courses. It is built with valid code and contemporary SEO practices in mind. Thanks to the fully responsive layout of the theme, there is no need to worry about your site’s performance on different screen sizes. The theme’s download package contains a bunch of education-related features like WooCommerce and MailChimp integration. It contains a bunch of ready-to-go themes and content modules. The theme is made to be fully compatible with WPBakery Page builder, which provides for the code-free modification of the theme. The theme is intended to become a solid foundation for tutoring center sites. It’s ready to be adjusted to match the needs of a range of small to large-sized educational establishments like college, school, institute, university, and academy. In order to manage meetings effortlessly, the theme is integrated with online appointments booking and management plugin. It features advanced forms, a ready-to-go blog, galleries, and blog post layouts. It’s made to be fully compatible with the latest version of WPBakery Page Builder. 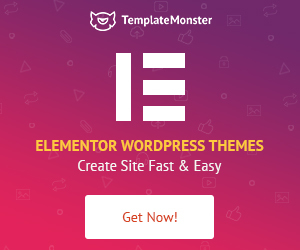 Also, you can enhance the theme with any sort of free or premium WordPress plugins that come to your liking. 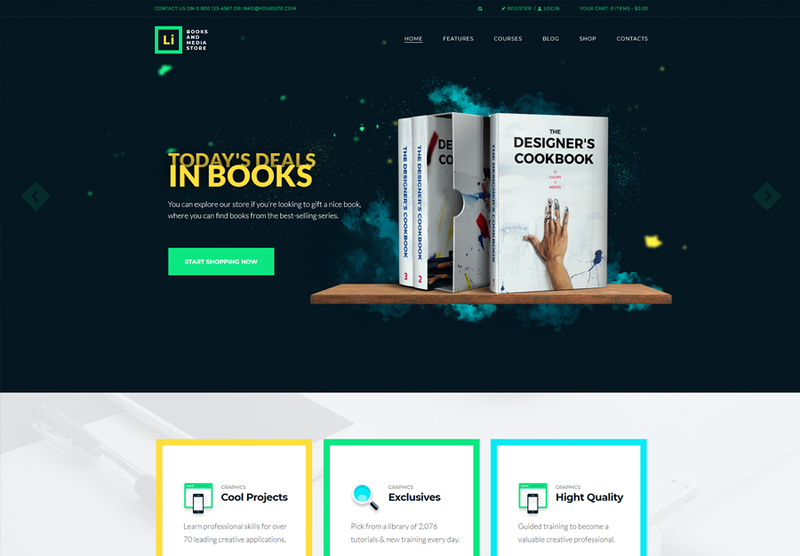 This beautiful and colorful WordPress theme will be the perfect solution for the development of the modern online library, online courses, and video games sites. The theme can become the perfect solution for the creation of websites that sell any sort of media products. Additionally, the theme is enhanced with a bunch of tools for e-learning. It’s made to be compatible with Swiper Slider and Revolution Slider in order to create an impressive presentation of your data and services. Besides that, it’s made to be compatible with earnDash and WPBakery. 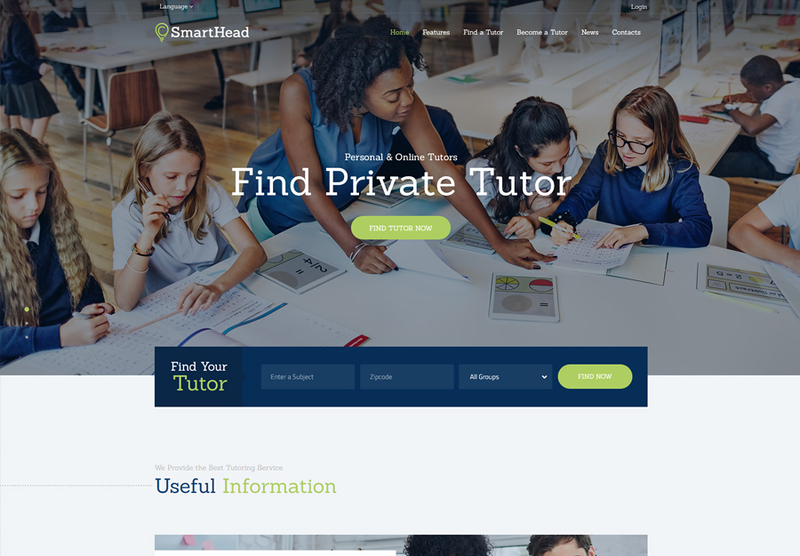 Studeon Education WordPress theme is a fresh, clean, and modern solution that is intended to be used for the launch of websites for a range of educational establishments. It’s perfectly suited to be used by teacher, trainer, educational blog and info magazine, learning event, student graduates. Some of the most useful education features that are included in the theme’s pack are premade online courses, Events Management & Calendar, and Advanced Contact Forms. it’s made to be compatible with WPBakery Page Builder. Such premium plugins as Essential Grid and Revolution Slider are supported as well. Furthermore, you can make use of WooCommerce compatibility in order to add an online store to your website in a couple of minutes. 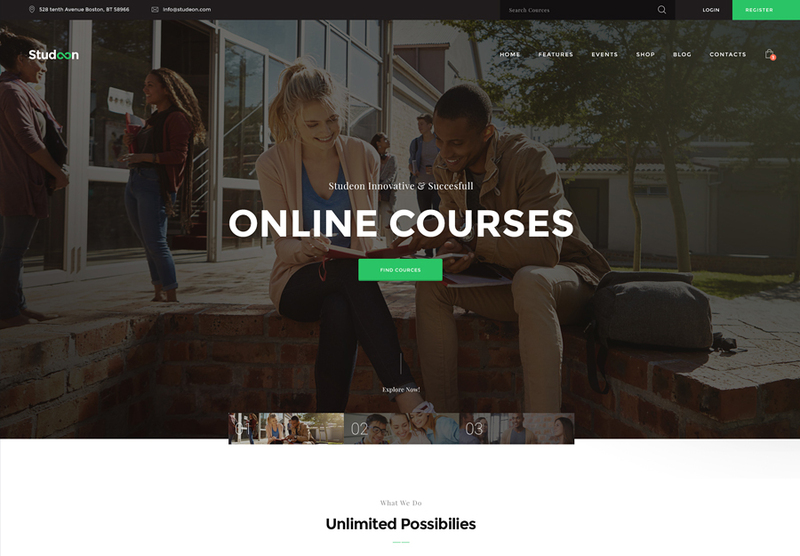 Using this responsive WordPress theme, you can build an engaging and versatile website for any type of training and remote educational courses, bureau or company. A pleasing and stylish design of the theme looks impressively contemporary and engaging. The download package includes a set of custom course layouts, impressive gallery, and blog post layouts, as well as dozens of premade pages for courses. services, products, about, and other sections. The theme offers the possibility to add an online shop to your site in just a few clicks owing to its compatibility with WooCommerce. 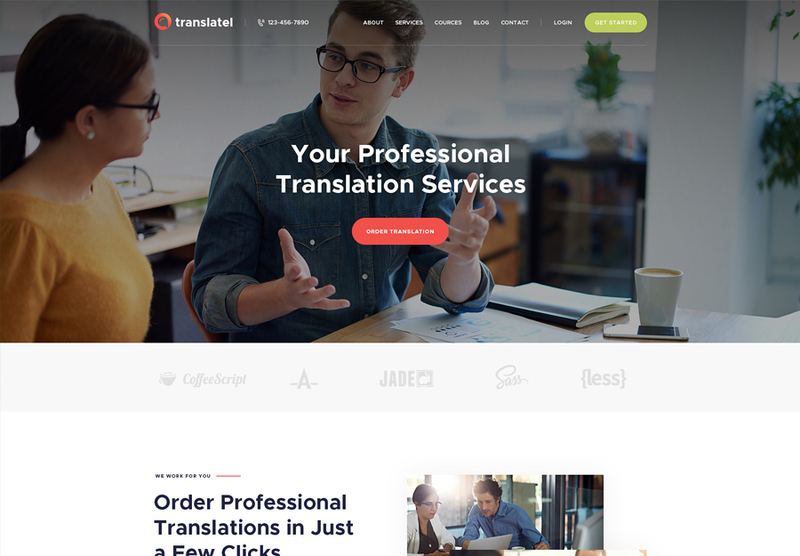 Translang WordPress theme is a stylish and elegant solution to build powerful translation agency websites. It features a set of translation application forms, which will become especially useful for the launch of linguist firm, translation bureau, freelance translator, and online translation company websites. The theme’s download package includes pre-made services and ready-to-use pages like services, galleries, portfolio, team, shortcodes, and other. If you are looking for a pre-made WordPress theme that converts, then Translang will be the right choice for you. It’s also made to be fully compatible with the latest version of WP Bakery Page Builder, Essential Grid, Revolution Slider, etc.